I created this video in May 2015 for Emmy consideration. The strict submission rules demand a concise, direct delivery, free of music, and motion graphics bombast. It all started as a passion project. For season 6 of Archer, I devised and directed the complex and critically acclaimed Alternate Reality Game, Archer Scavenger Hunt. It was a multi-platform bread crumb trail of puzzles, triggered by easter eggs I’d hidden across multiple episodes. It was the first ARG to be honoured by the Television Academy with an Emmy Award for Outstanding Creative Achievement in Interactive Media. 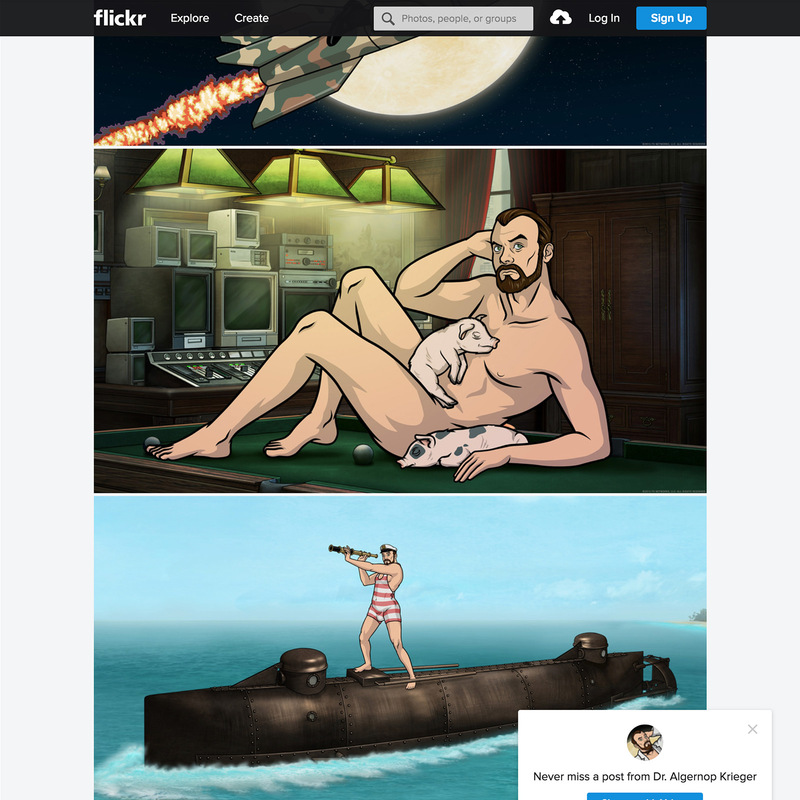 Archer Scavenger Hunt is predicated on the notion that a small section of TV viewers will always notice (and share) interesting details that the vast majority might overlook. 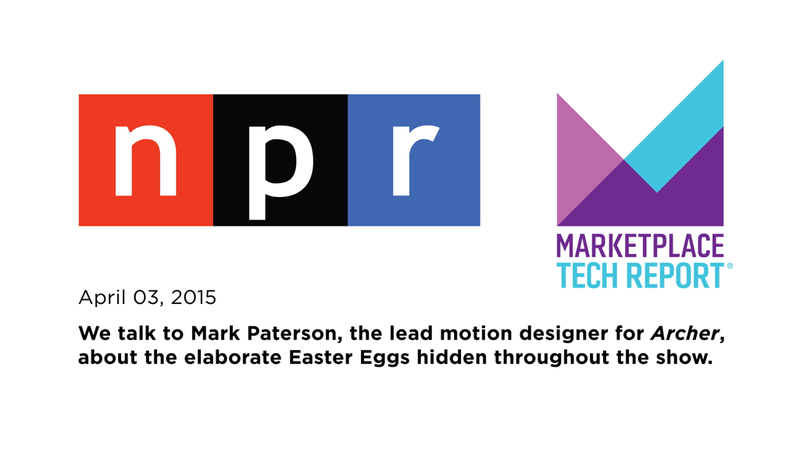 To test the theory myself, I planted an easter egg of ostensibly tech gibberish on a computer screen… and waited. Only days after broadcast, a tenacious fan discovered that the hexadecimal code (55 55 44 44 4C 52 4C 52 42 41) was hiding a hidden message. When decoded, it revealed UUDDLRLRBA, a famous cheat code from video game lore known as the Konami Code. He posted his findings to Imgur and it quickly went viral with over a million views! The producers were elated at how such a simple easter egg captured the imagination of the fans, appealed to the demographic, and garnered some free publicity along the way. I was encouraged to continue planting them whenever an opportunity presented itself. Intrigued, I pondered what might happen if I strung a few of them together. I set to work planning Archer Scavenger Hunt 2015 – a multi-platform bread crumb trail of puzzles, triggered by easter eggs hidden across multiple episodes. I pitched my idea to the producers and it was a hit! I got the green light and recruited my friend and colleague Tim Farrell to assist in building it. Their only condition was that we not let this take time away from our regular roles on the show, effectively meaning we would complete the project in our spare time. My intuition, coupled with a deep faith in our audience, paid off. Our fans adored it and joined forces online to follow the hunt and solve the puzzles. At the Television Academy, we gave a presentation to a twelve person jury made up of interactive media experts and TV industry heavyweights. They voted unanimously to award Archer Scavenger Hunt an Emmy Award for Outstanding Creative Achievement In Interactive Media – Multiplatform Storytelling. This was Archer’s first Television Academy win and the first alternate reality game to be awarded TV’s highest honour. It was achieved in our spare time, beating popular shows with well established interactive departments and actual budgets. It's sequel, Archer Scavenger Hunt 2016, would also go on to win an Emmy Award, becoming the first back-to-back winner in that hotly contested and ever changing category. The television show Archer put together one of the most epic easter egg hunts of all time. 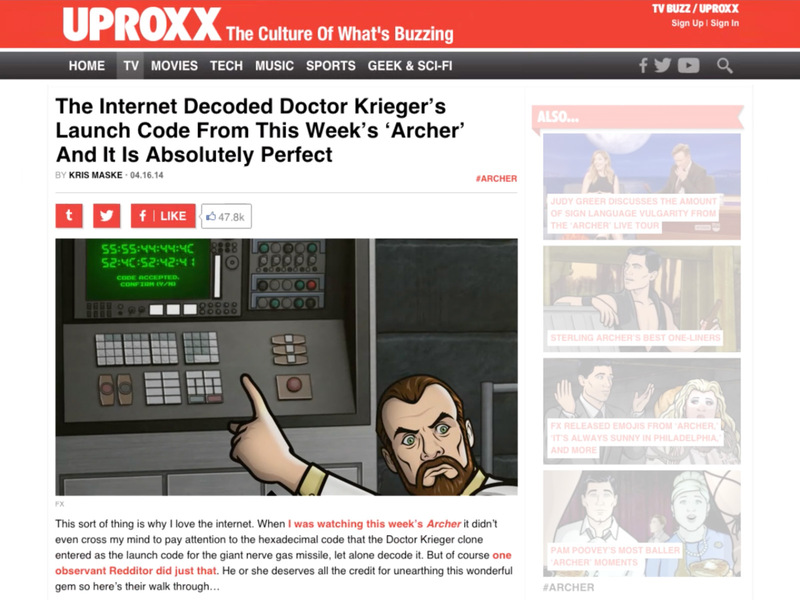 In the narrative I devised, Dr Krieger, the show’s resident mad scientist had left breadcrumbs that required our viewers to work together scouring episodes and the web to progress through a complex 68 step trail of puzzles, spy-craft and encryption that weaved through the entire season. It complemented the show’s storyline, rewarded our fans with unique content, and engaged them in ways and numbers none of us had expected! 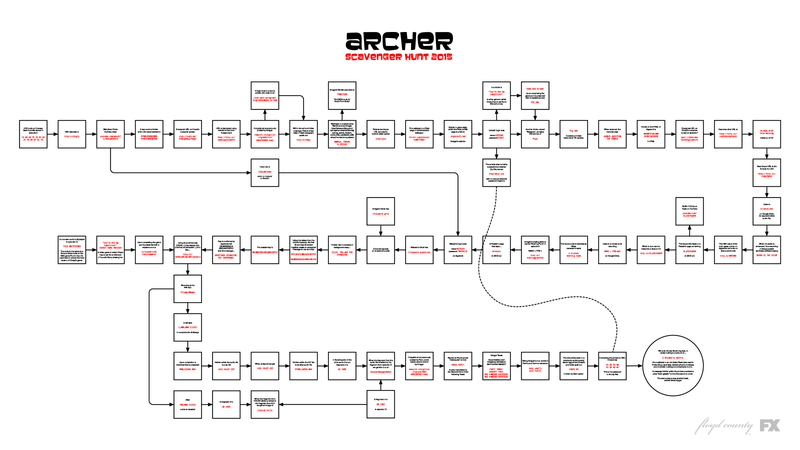 The Archer Scavenger Hunt 2015 flowchart. Get a full resolution PDF here. While a flowchart was invaluable in the planning of the Scavenger Hunt, it only tells half the story. Once the Scavenger Hunt was solved, I created a detailed and visually rich infographic that traced every step of it from start to finish. A portion of it is shown below. Read the complete walkthrough infographic here. Archer Scavenger Hunt is a great example of what you can achieve when you really know your audience. If anything, we underestimated them. While we fully expected them to pick up on the clues and ultimately beat the game, their speed and tenacity caught us by surprise. They were completely self organized and created huge discussion threads, online documents and chat rooms to track the hunt together. 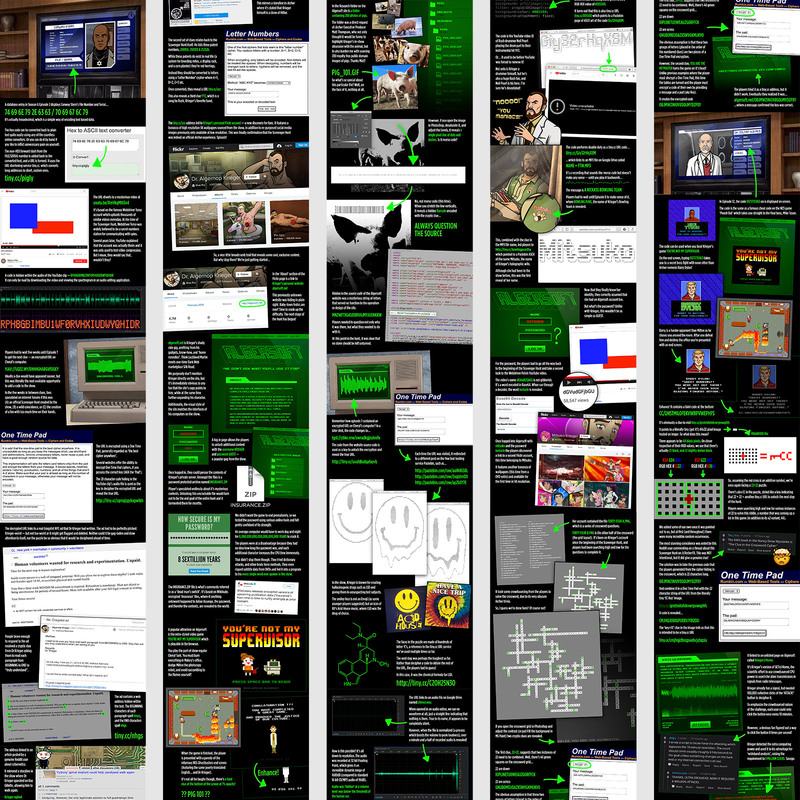 Fans created a collaborative online document and an IRQ chatroom to work on the hunt together. Due to the main scavenger hunt being a complex and protracted challenge, it was important to establish a portal fairly early in the game where more casual players could engage with the experience. 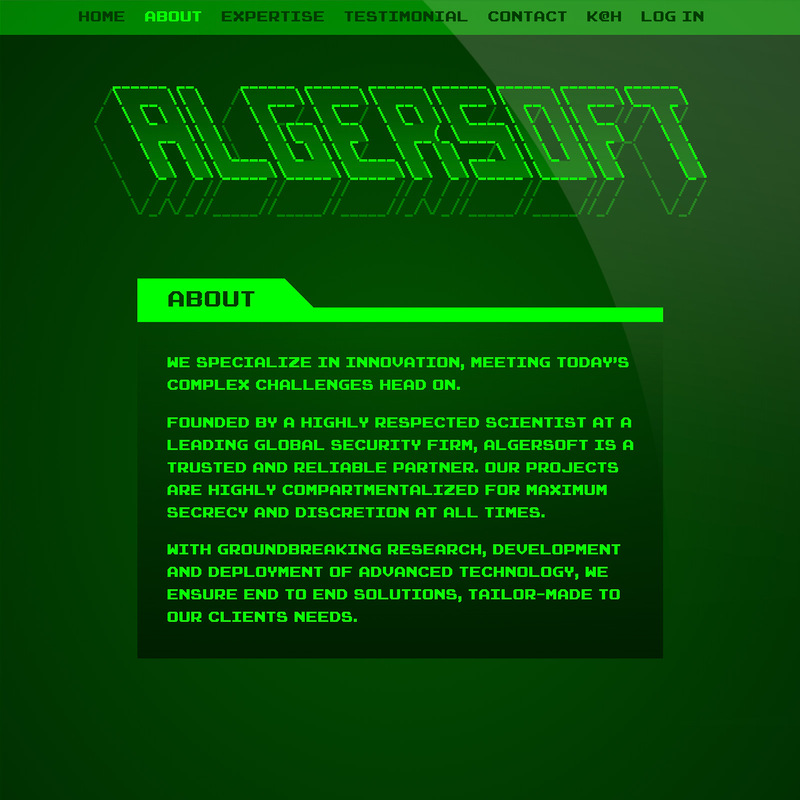 Thirteen steps into the hunt, the players eventually uncovered Dr. Algernop Krieger’s website algersoft.net and promptly shared its location online. 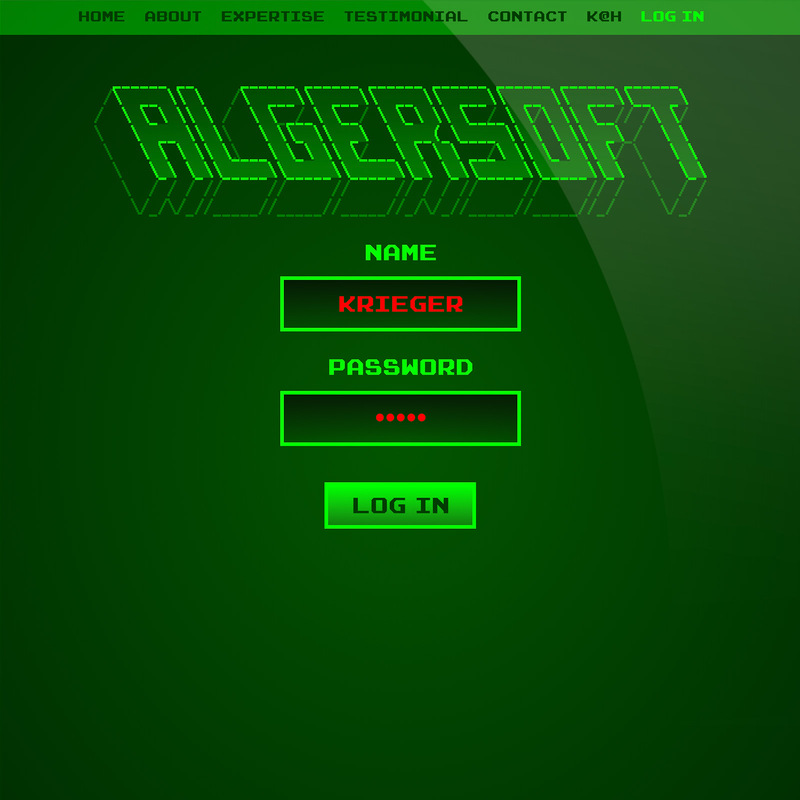 Algersoft is ostensibly Krieger's side hustle, using his expertise to offer services to military and security organizations. I wrote the copy as a parody of military contractors such as Lockheed and Northrop Grumman. 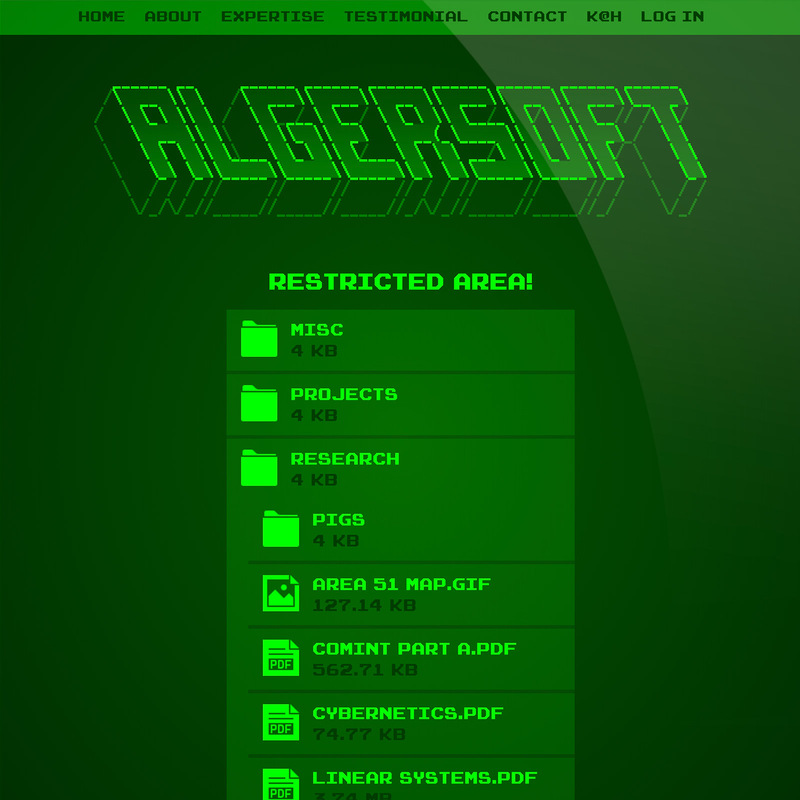 Using the credentials 'Krieger / Guest' or 'Mitsuko / Tentacle', fans can log in to what is seemingly Krieger's secret server and access a bunch of free content. 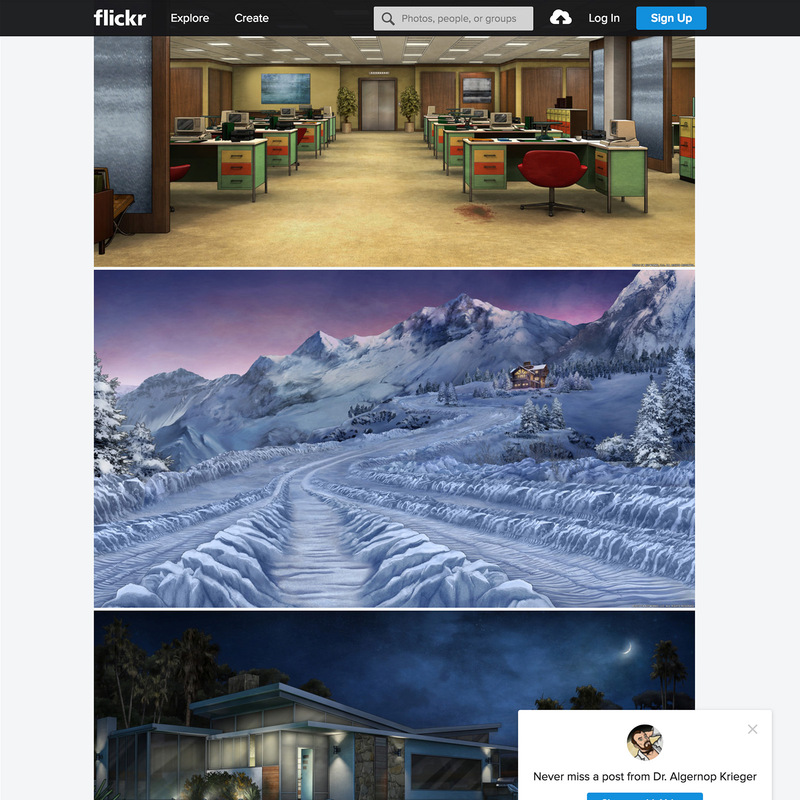 The content is always styled and presented in a way that doesn't break the forth wall – eg: a 'Surveillance' folder contains artwork of locations in the show, accessable via a secret Flickr account. There's also content that complements narratives in the show, such as a series of hidden cameras placed in bathrooms or a folder filled with nothing but photos of pigs (don't ask). 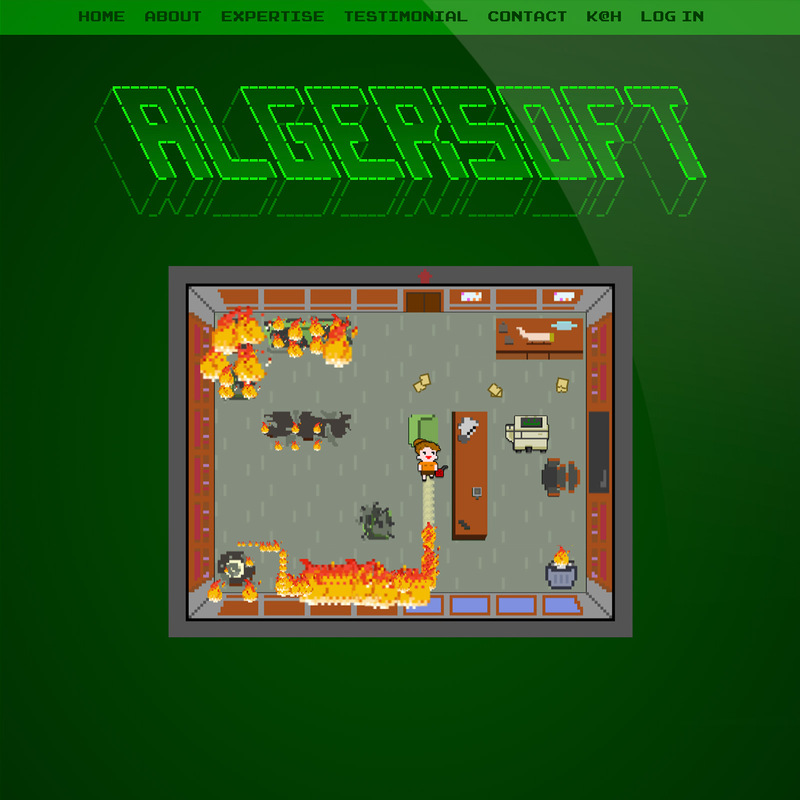 A retro styled video game You're Not My Supervisor is playable in the browser and initially presented as a serious 'Arson Simulation'. You play as fan favorite Cheryl Tunt who must burn everything in Malory’s office without succumbing to the flames herself. Perhaps most alluring to the players was an uncrackable password protected file. Opening this mysterious file was the final step in the hunt. I'm not sure which is more impressive: the fact that the creators went through so much trouble to create such an elaborate Easter egg or the fact that someone was actually able to crack the multiple mind-bending puzzles needed to reveal it. It’s a mind-boggling trip down a rabbit hole, one where it’s not so much the destination that’s satisfying, but rather the obsessive, convoluted, exhausting journey. 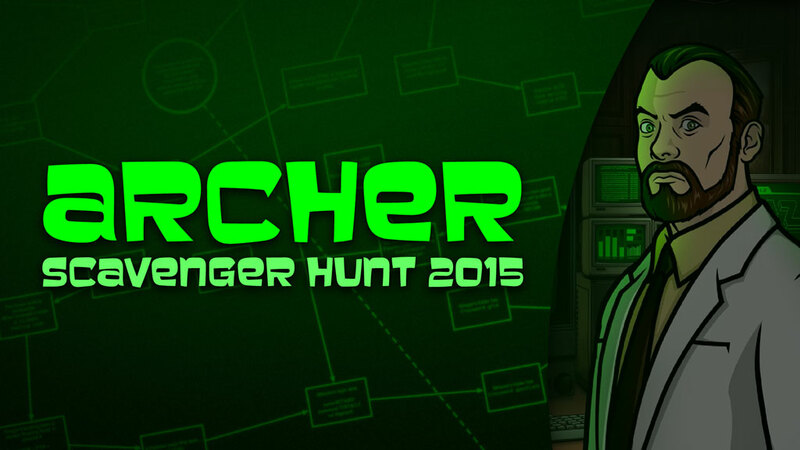 Kim Horcher and guest Brett Erlich discuss the Archer Scavenger Hunt 2015 on the show 'Nerd Alert'. Brace yourself, because the level of detail here is both impressive and a little bit disturbing. When they showed it to me, I was like, "This is fascinating, and wow, what incredibly talented and smart people, but nobody’s ever gonna figure this out. It’s just too obscure. There’s no way." Then, every week as another piece of the puzzle would come out, the crowds, especially on Reddit, were all working together to solve this mystery, and it was really fascinating to watch. I was responsible for directing and planning the entire thing, and creating and deploying around 90% of the content. From devising devious puzzles to cutting up audio and hiding clues inside, from coding websites from scratch to writing dialogue – I flexed just about every creative muscle in my toolbox and discovered a few new ones along the way. Putting it all together was a challenging, exhaustive and ultimately rewarding process. The ARG also had some stellar contributions from Tim, and we brainstormed many ideas together. He was the brains behind Krieger's retro-styled video game You're Not My Supervisor, where you play as fan favorite Cheryl Tunt who must burn everything in Malory’s office without succumbing to the flames herself. When you beat the game, a secret code is revealed which is required to progress with the ARG. It was also Tim's idea to submit it for an Emmy Award. Thanks Tim! After the game had finished, we realized it might actually be eligible for an Emmy Award in the category Outstanding Creative Achievement in Interactive Media – Multiplatform Storytelling. We quickly threw a submission together (which consisted of the video at the top of the page and a 1500 word summary) and hoped for the best. Incredibly, we were chosen to fly out to L.A to present our case to a jury of 12 Interactive Media heavyweights at the Television Academy. The winner had to be a unanimous decision, and to our amazement all 12 jury members decided that Archer Scavenger Hunt deserved the title of Outstanding Creative Achievement in Interactive Media! 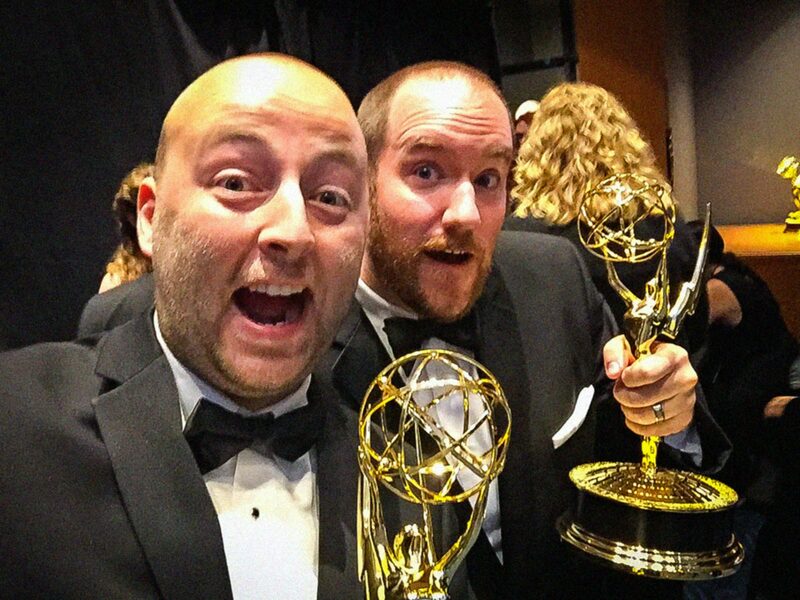 Mark Paterson and Tim Farrell (right) celebrating after picking up their Emmy statuettes for Archer Scavenger Hunt 2015.